Each month, our Featured Member section profiles a ClausNet member. Members are chosen totally at random by me and the staff. Once selected as Featured Member of the Month, we interview the candidate and post the interview here. This is a wonderful way to get to know your fellow ClausNet members! 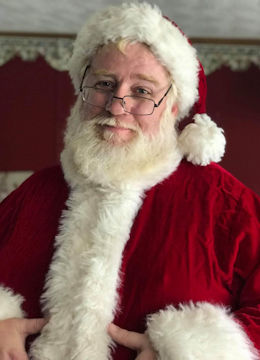 We are happy to announce our ClausNet Featured Member for April 2019 is Santa Dan! Community Reputation (as of today): 199 – Excellent! 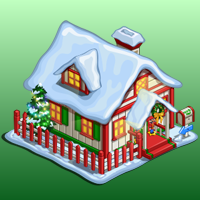 ClausNet: How long have you been portraying Santa Claus and how did you get started? Santa Dan: "It has now been 25 years since I first wore my “Red Suit”. I was having a hard time dealing with some issues while in the military. I was leaving the Commander’s Office for the second time in a week when my First Sergeant turned to me and asked if I would be interested in being Santa for the base Christmas party for the children on Kadena Air Base in Japan. I told him I didn’t think it was a good idea. I have had developed anger issues I couldn’t get rid of and being around children hanging on me, it would end badly I told him. He kept asking me until he came up one day and pointed to this arm and asked how many stripes does, he has on his shoulder and how many strips do I have (a clear reference that he out ranked me). He said he would ask me one more time… I decided to volunteer. I remember being in the felt (yes, actual stiff felt for art projects) ”suit” as I was being driven to the event and thinking this was so ridiculous. Everything changed when I walked through the double doors and saw that everyone there (adults and children) had a look of excitement, happiness and a pure joy. Here I was in a stiff fabric costume with a cotton ball beard and everyone was allowing themselves to believe and enjoy the moment. After that event, I ordered a suit from Sears I believe and have used it every year. I bought two suits this year but still wore the original for part of an event because it has been like a friend to me. A friend that has shown me how to allow myself to feel more than just the grayness and anger I lived with for 3 years. 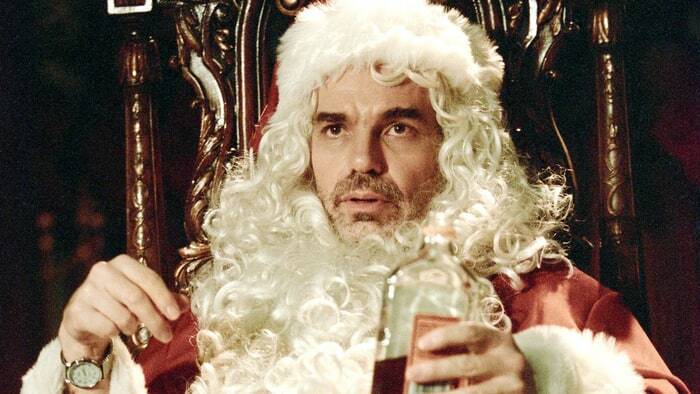 Being Santa was as huge for me than it was for the people I met wearing this magical suit." 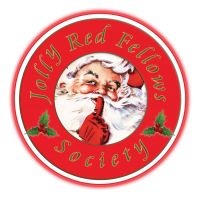 ClausNet: What or who are your influences on your portrayal of Santa Claus? Santa Dan: "I was kind of thrown into this by circumstances out of my control. I didn’t really think of using someone as an influence. I just wanted to touch the people I met in the most loving way I could. 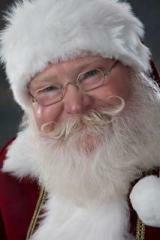 I have always loved Santa from the Miracle on 34th street. He had this quality about him as playful and almost childlike but still had an inner strength that came across with the feeling you know he had everything in control, even when it didn’t look like events were controllable. I can say now that I look to many of you on this board and enjoy reading the past topics and posts. I have also enjoyed the Professional Santa Claus podcasts. It brought many of you to life as I could hear the passion and drives on the various subjects that were talked about." 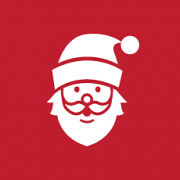 ClausNet: What do you enjoy most about being Santa Claus? Santa Dan: "Making a difference in this world. I don’t know any other way to affect so many lives in a positive way and to be blessed to take part in the positive memories of families is so humbling. 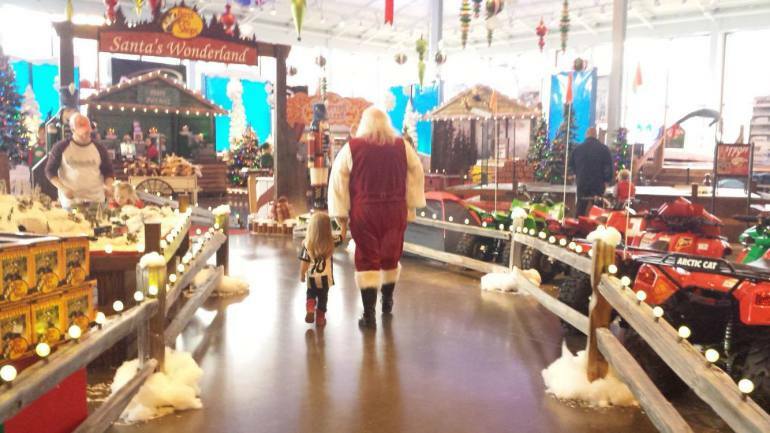 Families will be talking about a photo, video or experience they had with Santa for years! How awesome!" ClausNet: What is your most memorable visit? 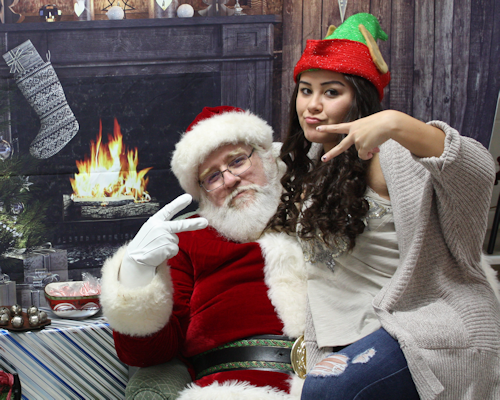 Santa Dan: "So many that touched my life in various ways. It could be my first event I got volunteered and discovered this wonderful path. It could also be a visit I had at a local hospital where I saw this child of maybe 4 years old that had tubes going in and out of him. He had opened his eyes just enough to see me and reached out to hold my fingers as he fell back asleep. The mother was the one I remember to most. She was tired, stressed obviously distraught. After I gave her a hug, she looked at me and made the cross symbol over her heart and asked if I was a Christian. I told her yes and she asked, through my wife’s interpretation if I would pray for him. I told her I would pray for them both. Afterwards, she was so thankful. 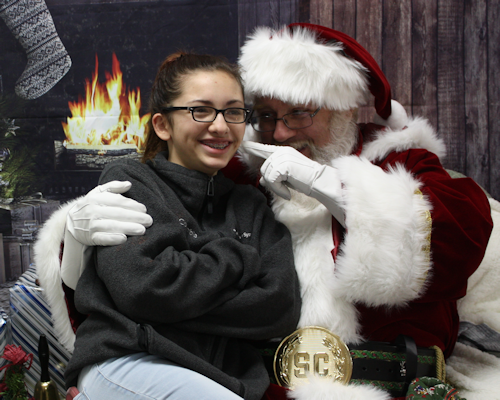 Being Santa gave me a chance to pray for them and give her the encouragement she needed." ClausNet: Do you have a favorite gig? 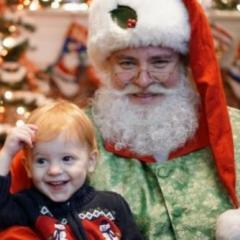 Santa Dan: "LOL, shortest answer to a question here; The gig where I am wearing the red suit." ClausNet: What is your dream gig? Santa Dan: "Hmmm… That’s a good question. I just truly love being wherever I am at. 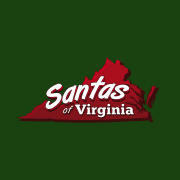 Being Santa at Santa Claus Indiana… Yeah… That would be amazing." 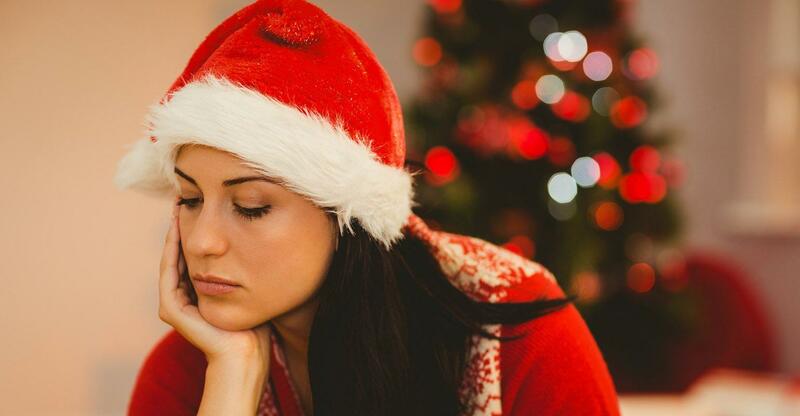 ClausNet: What keeps you busy when you are not being Santa? Santa Dan: "I am working on my North Pole, developing stories for the people and my amazing reindeer. Fixing up my suits, researching what outfits I want to add along with why I want to add them. Working on basic vocal and speech exercises, etc... I have enough for several lifetimes of work and I am happy of that." ClausNet: What are your hobbies / interests? Santa Dan: "I enjoy sandblasting/etching as an art. I have also started carving into wood. Also love to go camping with my family." ClausNet: What is your favorite color? Santa Dan: "Seems to be a battle between blue and purple. I had to look in my closet and I do seem to have a lot of blue shirts. Purple I like because of how it sounds in Japanese, Murasaki (Muda-socky). I liked that word so much, I almost named my eldest son Murasaki. Murasaki Trent has such a powerful ring to it, however I thought I would be staying in Japan while raising my children and thought better of naming my child Purple Trent… One of my better choices naming him Johnathan." ClausNet: What is your favorite food? Santa Dan: "With traveling to so many parts of the world it’s hard to come up with a short list (anyone looking at me would instantly know that this guy is a lover of food. I do love some Okinawa Soba or actual Raman noodle soup! I can do some serious damage to Tacos! BBQ, southern, Northern, Eastern, Korean, Mongolian… All good. Cooked meat = meaning of life." Santa Dan: "More of an uncola guy myself. I can take or leave either choice." ClausNet: What is your favorite cookie? Santa Dan: "The one within arm’s reach or freshly baked." ClausNet: What is your favorite movie? Santa Dan: "I do not really have a standout favorite. Most of the time, a movie I like will be due to other factors such as Lord of the Rings because of my childhood friends and I made our living room into a “Movie Theater” by turning off all the lights and placing bedsheets over all the windows and ate popcorn. All of the Harry potter movies my daughter made me watch over and over until the DVDs quit working ." 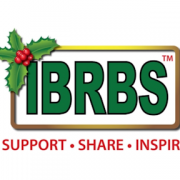 ClausNet: Do you have a favorite Christmas movie? ClausNet: What is your favorite Christmas song? Santa Dan: "Another tough question to answer. I would say Silent Night or Away in a manger. I love to sing Christmas songs. I live by the Bible verse saying, “Make a joyful noise unto the Lord” So glad it says nothing about singing in tune." ClausNet: What was the last book that you read? 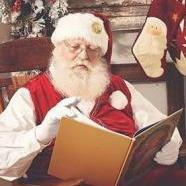 Santa Dan: "Autobiography of Santa Claus by Jeff Guinn – I have been enjoying this interesting take on Santa." ClausNet: What profession other than your own would you like to attempt? Santa Dan: "Is there a profession where I can sit by a campfire near a river and or lake doing little crafts?" ClausNet: What profession would you not like to attempt? Santa Dan: "Atom Bomb drop malfunction inspector. I remember hearing about how the scientists were studying the effects of “Atom Bomb” and how they had a guy whose job it was to go out and inspect the bomb if it didn’t drop." ClausNet: What were some of your favorite toys as a child? Santa Dan: "Erector sets that let you snap together girders to frame out your building and then had plastic rectangles that had various looks to them to finish your building. Also liked the Lincoln Logs. Always enjoyed building a town or city." 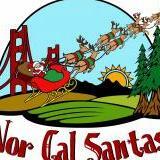 ClausNet: What is your most memorable experience of Santa while growing up? Santa Dan: "I don’t have any Santa memories other than what was on TV. I do remember one year where my mother was dead tired from working that she asked me to wrap and bring the presents down. I had a red robe that I was wearing and after I brought down all the presents, I was filling the stockings with candy and some pennies I had when my youngest brother half woke up and said “Hello Santa” and drifted off to sleep again. 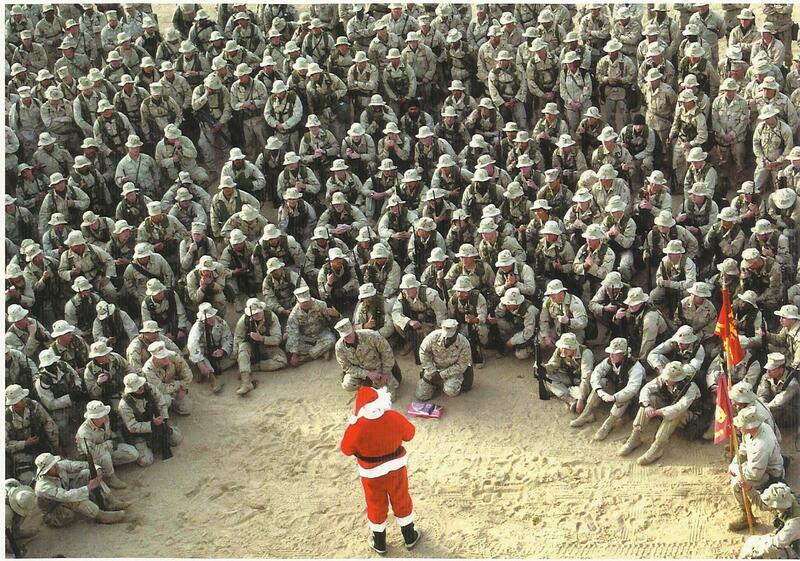 I knew that he was going to tell the other brothers that he saw Santa and they would tease him. I went out with two chairs which I used to stand on one while moving the other in from so I could make it out to the yard and eventually made sleigh and reindeer tracks. I even took chocolate morsels and warmed them in my hands until they looked like something left behind by the reindeer. I got some big boots and left one track going to the house and leaving the house. I remember making sure each step to move the boots so that it appeared to be bigger than any boot my other brothers may try to show may have been made from someone other than Santa. I even left tracks in the kitchen with the boots and some dirt. I even made sure to cover the holes made by the chairs using a broom to smooth the area. I do tend to over think things. I youngest brother did tell the others that he saw Santa and I was right in the fact that they teased him about it. He noticed the foot prints and eventually they saw the landing and takeoff area of the Sleigh as well as a knocked over trash can (I didn’t do that) that must have been knocked over during Santa’s take off. I haven’t thought of that Christmas in many. Many years. Thank you for these questions." ClausNet: What is the hardest question you have gotten as Santa Claus and what was your response? Santa Dan: "I have been lucky to not have many questions that have been hard to answer. What did I get last year would be one that I hear the most. I get excited and ask them how they like their gifts and which one the enjoyed the most. That usually gets them to tell me and I have a follow-up question on a color or some detail I wanted to make sure was the right one and they are happy." 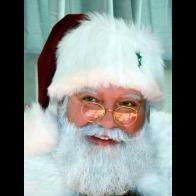 ClausNet: What is the strangest request you've gotten as Santa Claus? Santa Dan: "I was asked to break into a house when no one was home, drop off some presents, eat a sandwich, leave the sandwich on the counter and then leave. 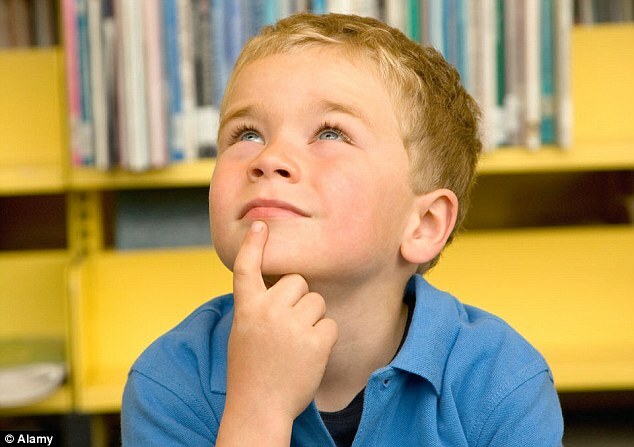 The family was gone for the weekend and when they returned, the parents found the food on the counter and yelled at the kids for leaving food out, worried about bugs and mice, how could they leave food out, etc.… When the children state that they didn’t do it, the parents ask them “Then who did?”. Eventually they see the presents and the parents talk to each other saying that the alarm was on so how anyone can get it. Then they check the video from the house cameras (it was a real high-end home) with the children and they see Santa bringing in presents, trying to get the TV to work (my idea. LOL), make and eat a sandwich and then leave. The family loved the video and said it will be special for many years. I did enjoy this visit with no one to visit." ClausNet: How did you find ClausNet? Santa Dan: "I was looking at possibly buying another suit and found this amazing site during my web search. Didn’t buy a suit but gained many new friends and an endless supply of useful knowledge." ClausNet: And what do you like most about ClausNet? Santa Dan: "Seeing so many different ways to share joy, love and magic of Santa and his gang with others." 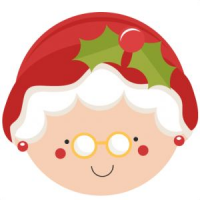 ClausNet: Is there a Santa or Mrs. Claus over the years that you admire or has inspired you? Can you tell us a little bit about him/her? Santa Dan: "As of right now it is a Santa Co-Op type of inspiration. All of you who have posted, commented or otherwise given of themselves on this board have been incredibly helpful to my growth and development as Santa." 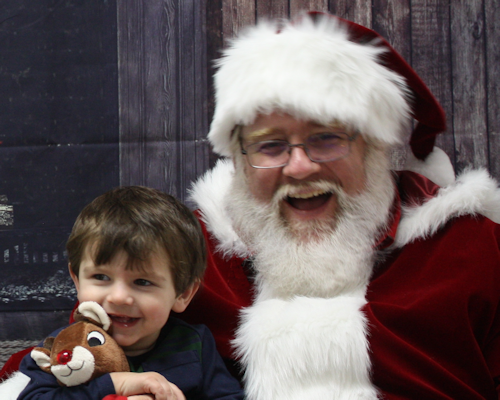 ClausNet: What advice can you give to a first time Santa or Mrs. Claus? Santa Dan: "It would be nice to have the best suit, the best beard and all the props you could possibly dream of. All these things will do nothing without having the heart and mindset of Santa. I have been Santa in a suit that a nice lady made from felt in that Military Arts and Craft center with cotton balls as a beard. Some could say that this was an insult to Santa and broke the realness of the great man in red. 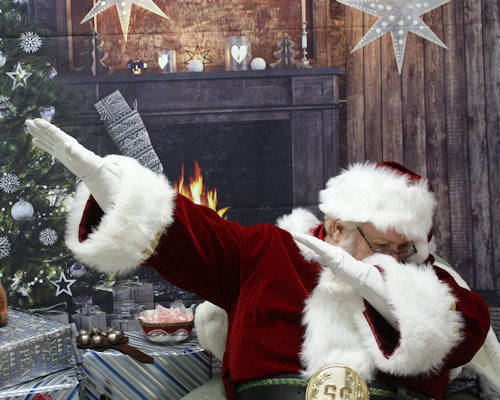 All I can say is that first, I saw Santa touch the loves of children and adults in a positive way and second, most likely it saved me from going down a dark path I may not have made it out of. 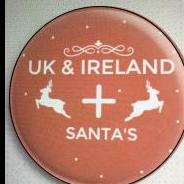 You be Santa in the best way you can with all of your heart, and you will make the difference." ClausNet: Anything else you would like to add? Santa Dan: "I just want all of you to know that you are appreciated. I appreciate every thumbs up, every word of advice and every post made. All of you make this board alive. 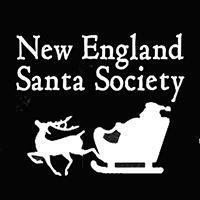 Without the interaction off all of you, this site would not be here, and I would of missed a huge chance to be a better Santa. Thank you from the bottom of my heart and know that all of you are loved! Also, Michael Rielly for President! You are amazing and truly are an inspiration to me." Thank you Dan. I'll settle for benevolent dictator. 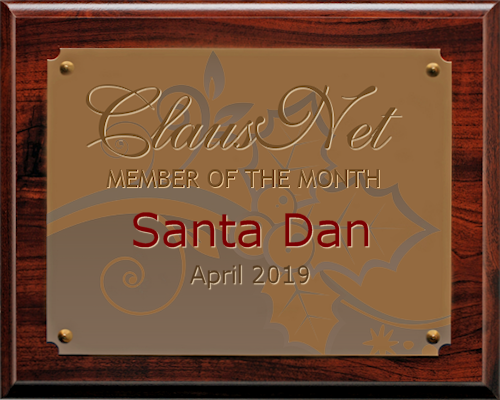 Everyone, please join me in congratulating Santa Dan, our ClausNet Featured Member of the Month for April 2019! Congratulations and Welcome to the MOtM Club! I enjoyed reading more about you! Congratulations and welcome to the MOTM club! And do tell us what your favorite Christmas movie is. thanks for sharing - I enjoyed reading more about you ! Great read and LOVED FOLLOWING YOU RIGHT DOWN TO THE BOTTOM! Enjoyed this very much. Nice honor! Congratulations Dan! Your story was so similar to mine I almost knew what your answers were going to be before I read them! 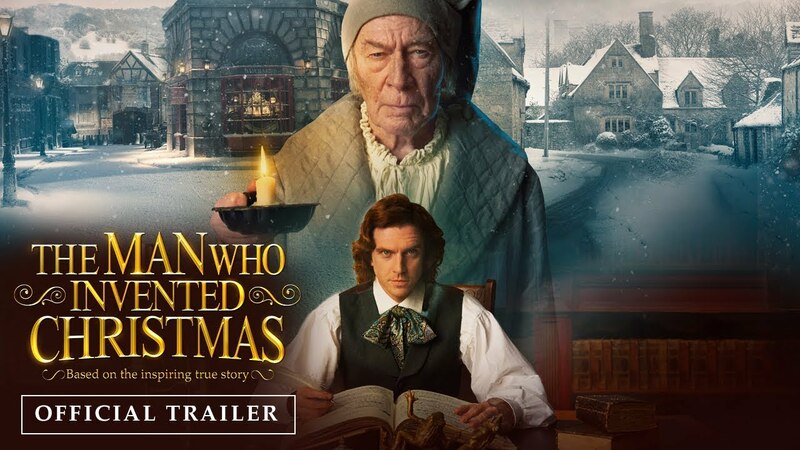 The one big difference is that I would have stated what my favorite Christmas movie was even if they question did not state it was needed. Come on, it was implied silly!!! 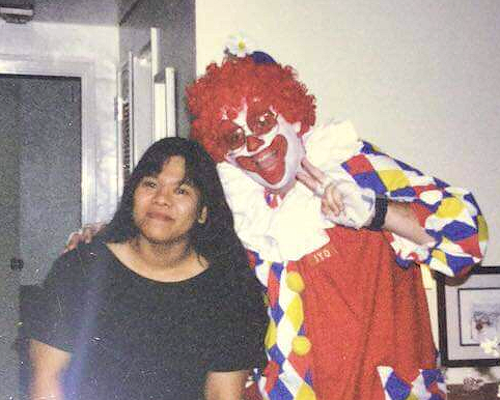 Also... As a clown... your a bit scary looking. The poor woman with you look petrified! On a serious note. Answering these questions and seeing them here has allowed me to appreciate the path that has taken 25 years to get to and really has me excited about the next 25 years. Wonderful interview, Santa Dan. Congratulations and thank you for sharing your path to the Claus. 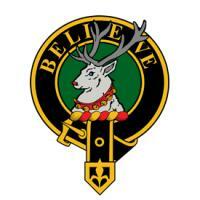 Not sure what your sergeant saw in you that you didn't see in yourself, but thank goodness for him! From one camping aficionado to another, keep your campfire burning and enjoy the starry nights. Another wonderful bonus of this interview was that my older children and I have had some great conversations of Christmas past and they have enjoyed seeing how I answered the questions and I believe took bets on who had the right answer. They laughed at some of them when it comes to my favorite this or that because they know me enough that I don't really have a favorite food, movie, color or whatever. My darling daughter elf has really gotten the most of this interview. She has called me several times and spoke about different things she remembers and has gone over each question with a fine tooth comb to try to figure out her old dad. She's such a gem in my heart and being able to share a deeper understanding of myself with her has been a pure joy. Interests:Art, golf, firearms engraving, hunting, fishing, reading and being a year 'round Santa for the kids. Congratulations on being selected as M.O.M! Interests:Fly fishing, and all things Santa!